By the way… I am sorry it took so long. I guess you can chalk it up to laziness on my part. We have had a lot going on lately and I kind of neglected getting new content out there but I am going to work really hard to stay on schedule of posting one of these episodes a week. Anyways, today’s episode is about lying to an ex boyfriend. We hear from a woman who wishes to remain anonymous who has found herself in a bit of a pickle. Welcome to the ex boyfriend recovery podcast! Where we help you get your ex back and have the fairy tale ending you deserve! And now, your host, he’s been dubbed as the ex-whisperer, Chris Seiter! What’s up and welcome to another episode of the ex boyfriend recovery podcast. Been a little while since I last did an episode. Got a little busy, we recently released a quiz on ex boyfriend recovery. Basically, that defines what kind of chance you have of getting your ex back. And the second we implemented that quiz, it blew up. People just flocked to it. It quickly became the most popular page on the website. For the last few weeks, I’ve been monitoring that and spending a lot of my time working on that quiz and things within the quiz and we’ve completely revamped our–I don’t know. 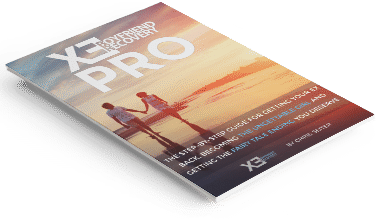 I wouldn’t call it necessarily a newsletter but we completely revamped the emails that you get when you sign up for exboyfriend recovery. When you do this quiz, you basically get this set of emails that basically defines to your situation what kind of chance you have. Now, I don’t want to get too much into it. I don’t want to spoil anything for you but it’s a big deal. We really are trying to put more quality things out there. There’s—I think something like four free giveaways of content and pdf and I do the success story report where I took a lot of my successes and figured out exactly what made them successful. I have that all kind of in a pdf document professionally designed. We got a lot of cool stuff in that email sequence. So, if you haven’t already done it, please go ahead and sign up for that quiz. Not only is it a really cool quiz but you’re going to get so much value after you sign up for it. It’s a little insane. I think we’ve gotten—you know our email inbox has blown up. My assistants are struggling to keep up with all of the people asking questions. And since we’re trying to create this—basically this community where we help people who are trying to get their ex back. We try to respond to everyone. I can’t guarantee we do in 24 hours but usually within 2 days, we get to you and you get a response. We’ve had the limits for some of our responses because I think over the Easter holiday, we had something like 400 unanswered emails. So, we fell a bit behind which is why I actually came in and started helping out my—some of the other members of the ex-recovery staff in answering some of the emails. So, you know it’s a really cool thing. I really highly encourage you to check out the quiz. You can basically just go to the website and you’ll see it’s everywhere. It’s plastered all over the website but let’s get to the real reason why you’re here. You’re here to learn about how to get your ex back. Basically by through hearing other people’s situations and figuring out what advice that I give to them that you can use for your situations. So, today we’re going to hear from a woman named Anonymous. She didn’t want her name posted which is fine, completely fine. So, we’re just going to call her anonymous and she’s got a really interesting story. So, I’d like you to take a moment to listen to it. I’ve been with my boyfriend for 7 years. He’s going to be 26 this weekend and I’m 25. We’ve been broken up for about a month and a half at this point. The reason for the breakup was he basically was having a quarter life crisis. He didn’t know what he wanted. He didn’t know if he wanted me, didn’t know what he wanted out of career. So, we broke up. We were kind of talking a while after the breakup and then I finally started no contact and within a week of us not speaking, he reached out to me asking if we could talk. I didn’t respond. Saying he didn’t want to be done. Just kept texting me positive text messages. And within two weeks, I kind of prematurely agree to meet with him and we did and it went well. However, we’ve been—he then asked me if I have been with anyone else since the breakup and I lied and I said yes, just to hurt him and it did. And he was angry and we kind of are back with square one. So, my question is, is implementing no contact rule again even going to work? I know you say it’s less effective the more times you do it and also when is the appropriate time to kind of hash things out and talk about the issues that cause the breakup in the first place? Or would you suggest not to do that? Thank you. I really hope you can help me. Thanks. I just want to take a moment and thank you for having the courage to put your situation out there. I know that’s a tough thing for a lot of women. I know a lot of women are scared to do that but I think the women who do end up having the courage and the women who are lucky enough to have their question picked on the podcast, get a lot of value out of what I say because I spend basically 20 minutes talking about that situation. So, let’s do a quick recap of your situation then we’ll get to it. You have been with him for 7 years. I’m thinking, you said you were 25, you said he was 26. I’m thinking this was your first serious boyfriend. I think maybe you had a boyfriend before this one but it wasn’t very serious. I mean you’ve had this boyfriend since high school. So, he’s essentially your high school sweetheart and I could factor into all of this in a second but first let me get to your situation. Like I said, he’s 26, you’re 25. You’ve been broken up for almost a month and a half. You believe he’s going through a quarter life crises which I’m not quite sure I buy it all. I’ll tell you why in a minute. You did no contact. You’ve made it a weekend and basically he asked for you back. You went on a date and you seem to have him back. You kind of accomplished your goal and then you fumbled it. You told him that you slept with someone else to hurt him which obviously it did and you find yourself back at square one. So, you’re big basic questions here are should you do the no contact rule again and what’s the appropriate time for you to hash things out regarding the issues in your previous relationship and what caused the breakup and things of that nature. I’m going to answer all of that but first let’s talk a little bit about your situation. A little bit more in depth. So, I’ve mentioned that this was your first serious boyfriend. If this is your first serious boyfriend, I’m assuming you are his first serious girlfriend and at that age, if you’ve only experienced one person or you’ve only been in a relationship with one person. It’s human nature to wonder what it’s like to be with someone else. Could it better? Could it be worse? You know, some of that grass is greener syndrome type thinking comes into play here. So, I think that may have been contributing to the breakup. You mentioned something about a quarter life crisis because he doesn’t know what he wants to do in a career which I’m not sure I buy a quarter life crisis thing. I mean I know they have midlife crises but just to put this to perspective, he’s 26 and I’m 26. So, I think I have a lot of great insight into what he’s thinking or he’s mindset and at 26 years old, I have not had a quarter life crisis though. I’ve certainly had multiple chances to have one. I mean if you’ve ever gone to sleep deprivation with a new baby, you know what I’m talking about. It drives you insane. My wife and I really struggled with that one when we first brought our baby home. So, if that’s not a reason for a quarter life crisis, I don’t know what it is. I can maybe buy into the thinking that he doesn’t know what he wants to do with his career. That can be kind of a tough thing because society has kind of painted men into a corner where men are the providers. I know not necessarily anymore that women’s rights have done a lot for equality and things like that but if you look at the numbers men still earn more than women. It’s sort of that glass ceiling type of thing. But I don’t want to get into any political debates on what men earn versus what women earn. I’m just trying to get you into the mind of your ex boyfriend here. Your ex boyfriend is at a place in his life where he needs to have a career. He needs to have an idea of what he wants to do. I mean there’s nothing scarier than living life without a plan or without a financial plan to back you up. And men really take that seriously, so I can buy into the fact that he feels a lot of stress about that but it’s not a quarter life crisis. I just don’t buy that at all. The other thing I wanted to tell you was I kind of wanted to get onto a little bit. You had him in your hands, I don’t know what you were thinking with regards to trying to make him jealous or make him upset by telling him that you slept with someone else. I mean I can understand why you did it because maybe you’re upset that he broke up with and you wanted to hurt him that way that he hurts you. Maybe you wanted to get some sort of validation from him that he cared for you in a deep level and you certainly got that but it really didn’t do anything to help you with getting him back. It hurts you massively. It hurts you a lot. I’m not going to lie to you. You were there. The finish line was a literally a feet away and then you basically stumbled on purpose. So, just going forward, if I’m going to help you out, I need to know that you cannot do this again. I mean you’ve had him in the grasp of your palm. So, make sure when you implement the things I’m going to tell you about that you don’t do anything stupid like this because I’m not going to lie to you. What you did was really stupid. You had him. Telling him or hurting him like this served no purpose for you other than just getting that validation but the fact that he was on a date with you, the fact that it only took a week of ignoring him to get on this date should have been validation enough that he’s still had feelings for you. I could definitely buy into the fact that he was struggling with this career or trying to figure out his life path or what he should do for a career. I can buy into that. That could be a contributing reason for the breakup but you hurt yourself when you told him that you slept with someone else because going forward now, he’s going to question everything you say. He’s going to—there’s going to be trust issues there. And even if you tell him –which will I’ll get to in a second here. Even if you tell him that you lied, even if you explained your reasons for lying, in the back of his mind, he’s not going to believe you. I know because I would react the same way. I would think, “Ok, we’ll she’s telling me that and I can understand why she did that but what if she’s just lying about this as well?” I mean this is the kind of headwind that you’re going to have to overcome if you’re going to try to get this particular ex boyfriend back. Here’s the good news though, because I know I’ve been kind of negative here. I know I’ve been kind of getting onto you and telling you what you did was not a smart way to approach it. Here’s the positive. The positive is I really think you have a great chance of getting him back. Believe it or not, even though what you did was stupid, I think it can serve a purpose for getting him back which I’ll cover in a second. What else did you want to know about? You said you wanted to know about what the appropriate time was to hash things out with him. To be honest the appropriate time is when he’s in an incredible mood, when he is in such a good mood that you can basically tell him that you murdered someone and he won’t get upset with you. Please, please don’t somewhat go out and murder anyone. That was a horrible joke! But that’s the point I’m trying to make here. You need to approach a situation where you bring up your previous relationship when he’s in an incredible mood. People are going to be more accepting of bad news when they’re in a good mood as opposed to bad news when they’re in a bad mood. I’ll give you an example. I was having a great day, a few weeks ago I was having a great day. The quiz on ex boyfriend recovery was blowing up. We were helping more people than ever before. I was really excited. I was in a great mood. My wife was in a good mood. I think the baby slept through the night that night. So, I was feeling really good about myself and I think my wife, she took the baby to her parent’s house to give me some kind of space to work and some peace and quiet to work basically. And I did just that, I started working and I started particularly cleaning up my desktop. I own an iMac and it’s really cluttered. Like the desktop is really cluttered. I put all of my work, all the pictures I do and any book I’m writing is on this desktop and a few months ago I started rewriting ex boyfriend recovery pro which is kind of the flag ship product. I’m kind of trying to divide it up the three sections. I took a lot of the complaints I got from people who bought the book and I’m working them in to make sure their complaints get covered and no one ever has an issue. I’m trying to match everyone’s situation with a specific plan. So, they know exactly what they have to do to get their ex back in their situation and I was writing I think what was like a hundred pages and I was super excited about this. I think I even mentioned it on a few of the previous episodes of the podcast. I was telling people on the emails, I was telling people on the comments, I was telling people on Youtube, I was telling my wife about it, I was telling my dad about it. I was really excited about this thing because I really thought it was going to be revolutionary but back to the story, the particular day I was cleaning up my desktop and I happened to put the book that I was writing, the book that I spent a month and a half working on into the trash bin and then I clicked on the trash bin and then I erased it. I didn’t know I did this but when I found out, I was shocked. I couldn’t believe I’ve done that. I’ve never done anything like that before. Usually I’m very secure about the projects I work on or in a specific area of my desktop where I don’t touch them or they sat there and everything. But here’s the thing, I was in a great mood that day, so even though, it was a horrible loss which I have since started rewriting the book and that I think it’s even better now than it was but even though it was a horrible loss, I didn’t really feel that upset inside because I was in such a good mood. So, approaching this situation, basically if you’re going to deliver bad news to your ex boyfriend or if you’re going to bring up something negative, do it when he’s in a good mood. That’s kind of the moral story here that got way off topic. Let’s get to your situation. You obviously messed up. You’re wondering about the no contact rule. Specifically if you should do the no contact rule in your situation and you seem like you’re really well read. It seems like you went through the website. You saw what I said about the no contact rule but how every time you do it after the first time it losses some effectiveness and that is certainly going to hold true but the good news for you is you really didn’t do it. You did it for a week and then basically got him back and then fumbled it up before you really got him back. So, technically I think it’s going to lose a little bit of the effectiveness for your situation but not much. Not like if you had done a 30 day no contact rule and then fumbled up. So, I really think you really have a great chance of almost—even though you’re at square one. You’re at square one like legitimately at square one. Sometimes when people mess up on the no contact rule, they go back to square negative one because the no contact rule losses its effectiveness but you, since you really didn’t do the no contact rule that much, it’s not going to lose much effectiveness. It’s still going to be very effective. I still think it will work on him but here’s the strategy I think you should employ. You lied to him about sleeping with someone else, why you did this, I think my personal belief is you were trying to find some sort of validation that he’s still loved you and maybe you thought this was the best way to bring it out, maybe you were just trying to hurt him. Let’s not get too much into why you did it. It’s done. That’s the reality we’re living in right now. How can we approach this situation? Well, I mentioned that he’s going to be questioning you every single time you tell him something now because in the back of his mind, he’s still going to wonder if you slept with someone. I think for him to even ask that question of you in the first place means he’s worried about it. So, this kind of puts his radar on even harder, if that makes any sense. So, what I think you need to do before you enter the no contact rule is let him know that you were lying. Explain everything to him. Explain why you did it. Explain kind of what you’re hoping to get out of this. Explain that you were trying to hurt him or you were trying to make him feel bad. Explain. Let him know that it was a lie. Let him know that you really didn’t sleep with someone. Apologize to him. It has to come from a genuine place. This can’t be a BS apology. This can’t be an apology just to be an apology. This has to be a genuine apology. He has to feel how sorry you are. He has to feel how big of a mistake you know you made. How dumb of a decision it was to do what you did to him. He has to feel this things for this apology to be effective. Basically what I’m trying to do here is, show him that what you did was a mistake ok? And then also showing him that it was a lie. That you really didn’t sleep with someone and then after you’ve given that apology, you go into the no contact rule. I think 21 days should be sufficient in your situation. So, so far we’ve got the apology. Then we do the no contact rule for 21 days. Now, the biggest misconception about the no contact rule, that I found to be lately is a lot of people just use it to focus on their ex boyfriend but that’s not what it’s for. Yes, it is for making an ex miss you, it’s for healing an ex’s feelings emotionally, it’s for leveling you out emotionally and that’s—it’s really a two pronged approach in the fact that, yes, you are using it for your ex but you’re also using it for yourself. I consider it now since I’ve become a little bit 0:19:49.3 and I’ve become a lot more successful at getting people’s ex’s back. I consider it a failed no contact rule if you haven’t made any personal strides. Seriously, you should go back into no contact rule and to the no contact rule even if you didn’t contact your ex but you didn’t make any personal strides, you should go back to the no contact rule. It’s a failed no contact rule. That’s how important it is to make the personal strides. That’s how important it is to focus on yourself and a lot of women obsess about the no contact rule. They think about their ex’s way too much. They put too much emphasis on them. The way to not do that is put all the emphasis on yourself. What can you do to improve yourself? What can you do to become the best human being that you possibly can? What can you do to become better looking? What can you do to have a better personality? What kind of hobbies can you pick up? What kind of things have you always wanted to do but you never did? Do those things during the no contact rule. You have to make personal strides. You have to heal from the breakup emotionally. That is what the no contact rule is for. So, you didn’t really do that. A week of no contact is not enough to make the kind of splash that we’re hoping for. So, try 21 days and during those 21 days, focus only on yourself. Don’t obsess about your ex. Don’t obsess about anything relating to your situation and I promise things will go better for you. Alright so, let’s say that you do this apology. Let’s say that you do the 21 day no contact rule but what happens next? Well, basically what I think you should do is just follow the game plan. Look on the website. Understand everything I teach about the value chain, about how you want to go from the no contact rule, to texting, to after you build attraction through texting, you move up to the phone calls then after you build attraction through the phone calls, you move up to the dates. That’s what I think you should do. I think you should prolong this. Maybe the biggest mistake you made was rushing and honestly, he was ready but you weren’t. For you to make a major mistake like telling him that you slept with someone just proves that you are not ready to get him back. So, a lot of women think, “Ok, will getting my ex back, I have to wait ‘til he’s ready.” But that’s not always the case, sometimes he can be ready and you’re not ready. I think maybe, we’re ready to get him back but you weren’t ready maturely wise to get him back. You need to take kind of calm down from the break of a bit. I think you tried to get him like, two weeks after the breakup you did this. You were still hurting from this breakup. That’s why you did it. That’s why you told him that you slept with someone else when you really didn’t. So, I really think this time around you should prolong the no contact rule. Prolong the game plan for getting him back. Make it to where—it’s not getting back into ways—I mean a lot of women try to get their exes back—the biggest mistake I see a lot of women trying to get their ex back too soon. So, what you need to do is prolong this. Make it a little bit longer. Let things unfold naturally because you’ve already proven that he wants you back and I really think you have a great shot at getting him back. You just can’t make this errors going forward. Now, the other thing I want to talk about is jealousy. I really don’t think you should implement any jealousy tactics. Why? Well, he’s already going to be very insecure about you or you telling him and lying to him about sleeping with someone else. So, he is going to be on hyper alert, assuming that he’s interested in getting you back. So, if he’s interested at getting you back, and you for example go for a hang out. Let’s say, it’s not a date, it’s just a hang out with one of your guy friends, Dave and you post a picture on Facebook and he comes across this. Well, all you’re going to be doing with that picture or that act is you’re going to be upsetting him to the point where he’s not going to want to be with you because he doesn’t feel like he can trust you. The name of game here is getting him back but at the same time, showing him that you are the most trustworthy person alive. That’s what you’re main goal is because of the mistake you made. See, before you made this mistake, all you have to do is get him back. All you had to do was just build up an attraction and get him back but now that you made this mistake, you had the added headwind of making him trust you because even though you didn’t sleep with someone, if he truly believes that which is like I said, he’s going to question everything, you still lied to him. And lying hurts people. It does and it makes people not trust others. So, kind of the big thing that you’re going to have to accomplish here is getting him to trust you again and the best way to do that is not to put yourself in a position where you’re around other guys. Not to put yourself in a position where you are in—how can I put this? Not to put yourself in a position where he can look at you say, “She’s not trustworthy.” And that sometimes means not going out to a club or something with your friends if they’re going to take pictures, post it on Facebook. I know that sounds kind of weird but that’s the way it has to be. you have to decide whether to forgive him.. did he apologize and is he willing to make up? thanks for the suggestion, I’ll forward that to him..what are other details of your situation? what does your therapist really suggest? I’m not sure if this question is asked a lot, but since this article is about lying to your ex..let’s say I get back with my ex at some point, (which I hope I do :/ ) I’m the sort of girl who tells her boyfriend everything.. Literally everything. No secrets. But would it be a good idea to let him know the existence of this site, and that this site helped me get him back? First of all, I’d like to thank you and your blog for being a significant part of my healing process post my break up. I was devastated and desperately trying to get my ex back. Not only helping me reconcile with my boyfriend, ex then. But you also help me in regaining my self worth. I see things clearly now. I quit being the so called gnat and constantly trying to be a better version of a girlfriend I am. Talking about lies.. My boyfriend finally come clean to me that he slept with another girl when we were not together, for months he’s been lying to my face that he never sleep with anyone other than me, yep we still sleep together, yep he was using me and I’m a total moron. He used to be the center of my world. He’s been mistreated me quiet badly for years of our relationship and I’ve been very apologetic. I still love him. But the fact that he has bo problem lying to me, bothers me. He did that in less then a week after we broke up. A rebound, I know. But at that time he knew, he threw me to hell and he didn’t really care about my welbeing. Now, frankly, I don’t know. I guess my hatred is bigger than my love to him. I want to be with him, but I have reasons to flee. It’s tainted. Not only about this case but also all the betrayal he conducted (as in leaving me when I need him the most and trash talk me). Do you have any suggestions? I never lie. I hate lies. I always emphasize the importance of being a good partner and teammate. But I dont feel like he values any of that. Hi Chris, would you mind doing a video or a post on how to get an ex boyfriend back after a prolonged period of no contact and if you haven’t been together for almost a year? I know you’ve done a post similar, but it didn’t seem very applicable to my situation.